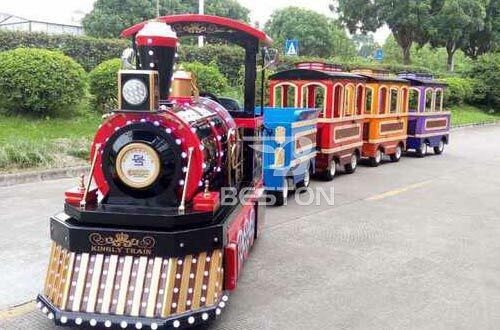 Purchase Quality Amusement Trains for Sale in Beston - Professional Trackless Train Designer and Manufacturer! 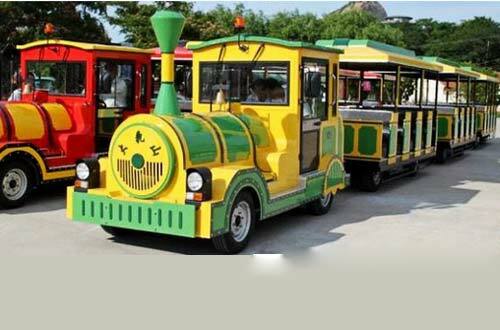 The tourist trains can be classified into the trackless train and the park trains with the track. 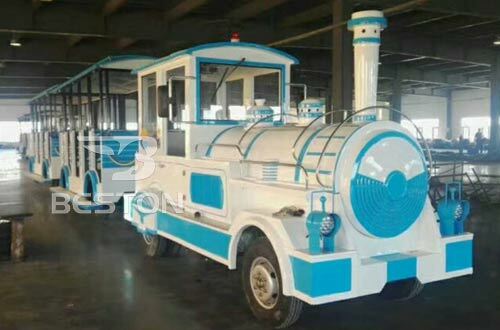 According to the driving mode, the tourist trains with track can be driven by the steam directly , diesel generator and the electric engine. According to the track, the track train can be double track, monorail overhead and the regular park trains. 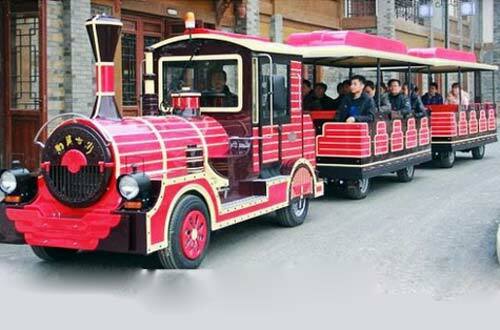 However, the trackless trains are generally the fuel-driven trains and the battery operated trains. 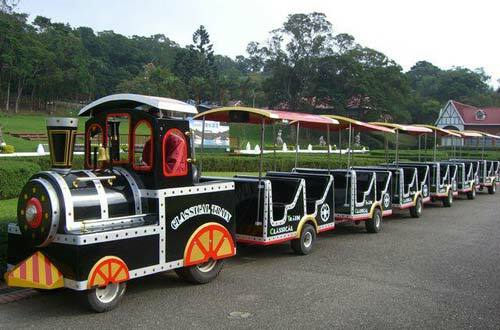 The tourist train is often the enclosed carriage and open carriage. 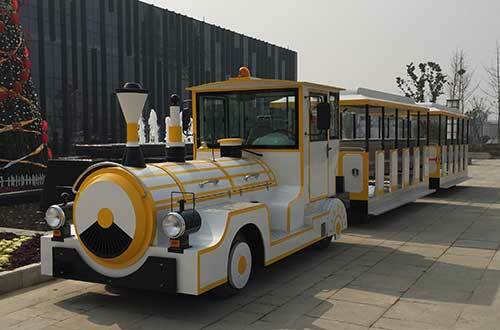 Besides, the carriage of trackless trains is often C7 Russian and C8 Luxury Carriage. 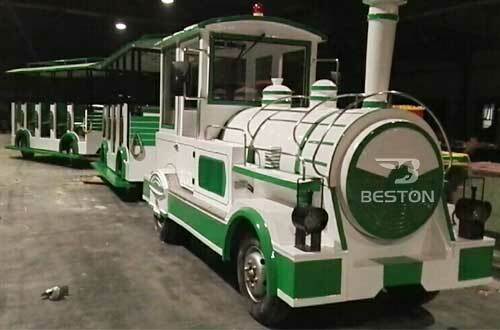 Beston, well-known for its superior quality tourism trains with the lower prices, supplies various trackless train for sale for different application and the trackless trains are commonly applied to amusement parks, theme parks, carnivals, funfair, resort, shopping malls, party rental business, playground, and so on. And in the Wikipedia, this kind of trains refers to a road-going articulated vehicle used for the transport of passengers, comprising a driving vehicle pulling one or more carriages connected by drawbar couplings, in the manner of a road-going railway train. Similar vehicles may be used for transport of freight or baggage for short distances, such as at a factory or airport. 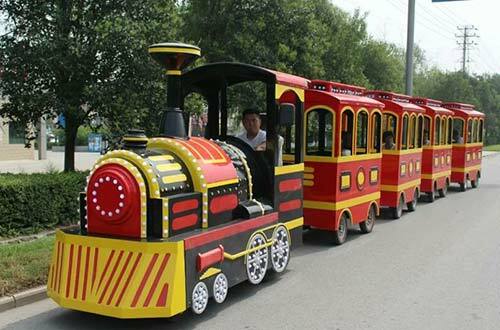 So there exists to be various types of trackless trains for kids and adults to have fun in the park. 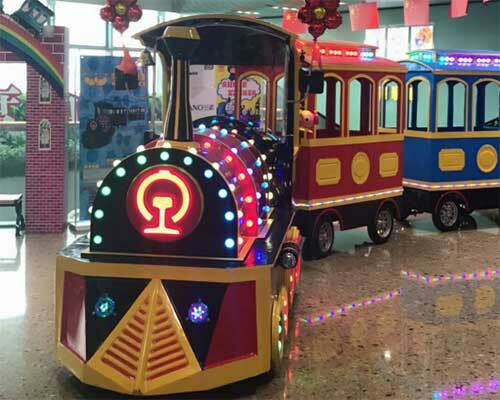 And people can commonly see various types of mini electric trains in all sort of venues, such as indoor malls, family entertainment center and also popular for outdoor application such as theme parks, festivals, promotional and special events, zoos, parks and gardens, as well as at both public and private events. 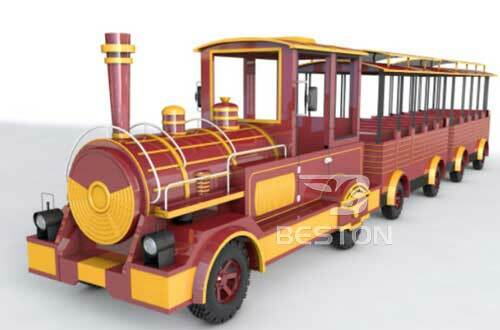 Literally, the trackless train is a train that does not require a track to operate. In general, the trains consist of a tow vehicle as well as a series of towed cars, which can be powered by a internal combustion engine or an electric motor. 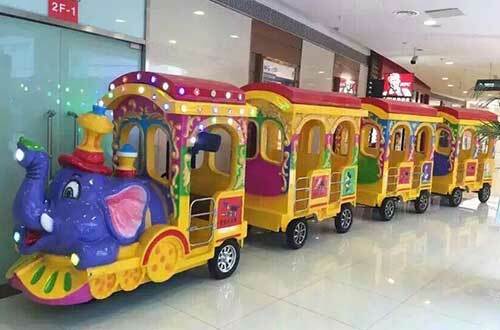 In detail, the electric trackless train is composed of the electric engine, locomotive, passenger wagon panels, trims, rubber bumpers and so on. As for the capacities, it ranges from 12 to 18 riders. It will be all fine for kids and adults to ride their trains on the level surface, grass, gravel, pavement, concrete, etc. In the process of running in your way, you can hear all types of songs, for kids, for church, for Christmas, or any kind of songs as you require. 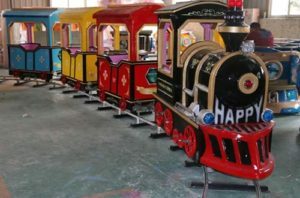 The train will make you have a happy journey in the park. 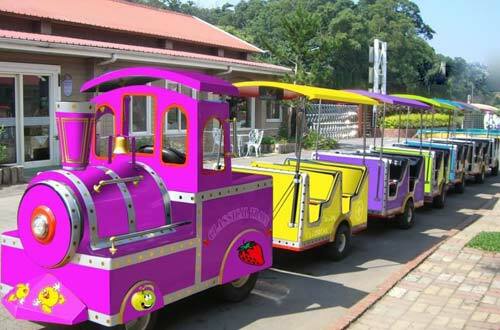 Trackless trains are a great way to attract visitors’ attention in the park. 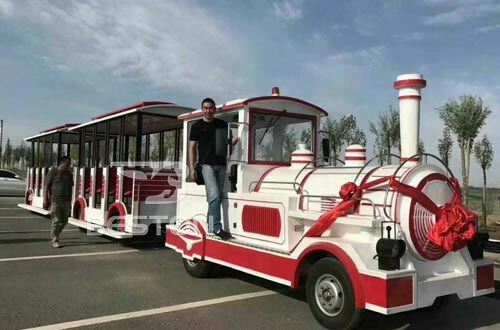 In the 1980s, with the gradual development of the economy and the start of the tourism, the trackless trains are introduced to China and the early trains are very simple. 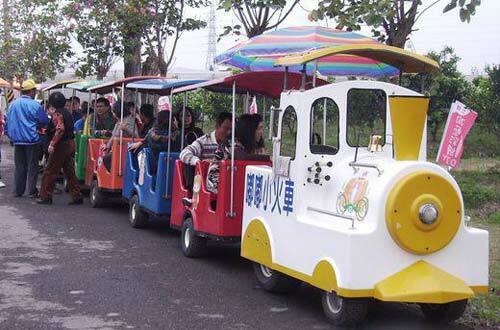 Under the wisdom and efforts of many technical personnel, the electric train ride develop quickly. 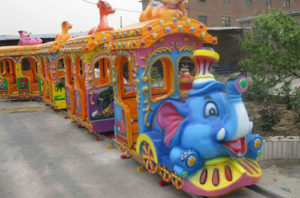 Now, the security configuration of train rides has developed greatly and the trackless tourist train has its own uniqueness and aesthetic value. 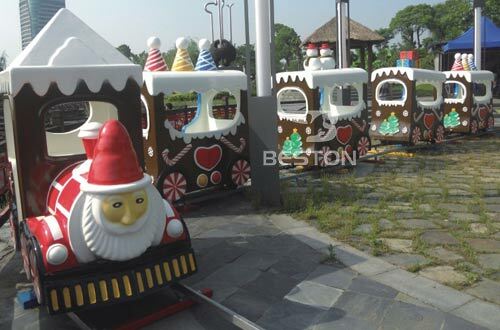 Beston, an excellent amusement ride manufacturer and supplier in China, provides all types of carnival amusement rides for customers worldwide, especially the various types of park trains: trackless trains and mini electric trains with track for kiddies and adults. 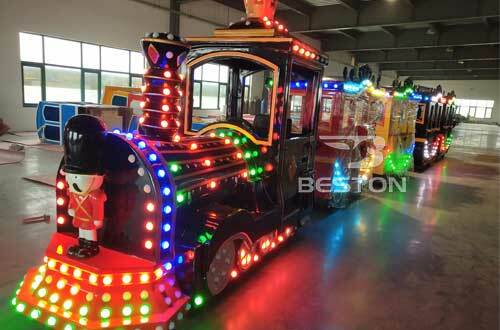 Trackless trains, as one of the best selling carnival trains for sale from Beston, are quiet, safe, very maneuverable and environmentally friendly. 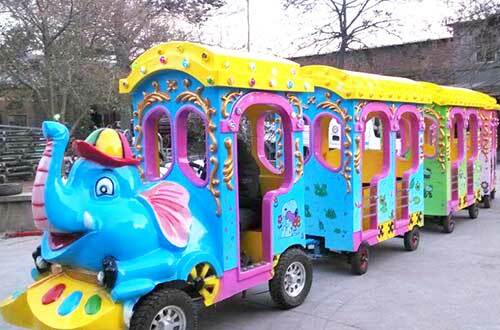 Compared with the real trains in our life, our amusement trains are alike in the appearance and smaller in size, but it runs fast and can take you to any scenery in the park as you want. It is manufactured with high quality fiberglass reinforced plastic (FRP). 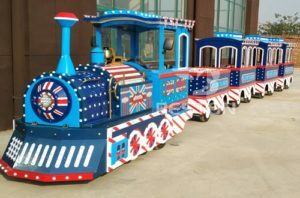 After the locomotive of our children’s train ride is meticulously and skillfully bonded, polished, grind and sanded down, our staff use the top grade automotive paint to paint the trains and the paint has the advantages of exceptional durability and vibrant, long-lasting color. So the locomotive in Beston is more solid and durable. 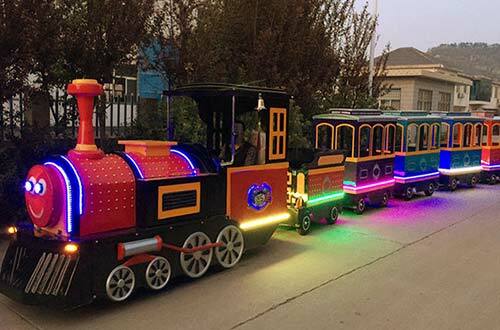 Besides, the electric train ride is decorated with cute cartoon for carriage decoration and the LED lights, and people can drive it freely with music accompaniment. 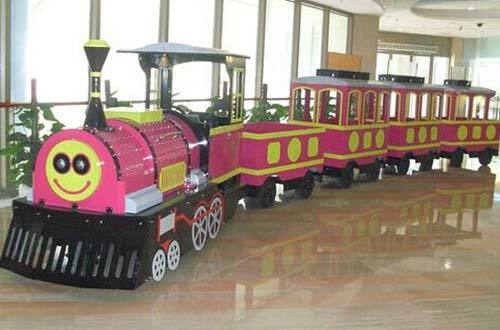 Custom trains are also available for you. Do you have any interest? 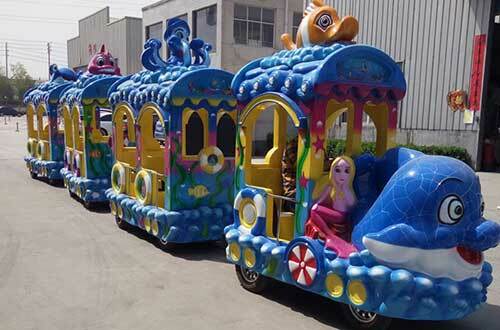 Please contact with me directly to order or custom one for your park. 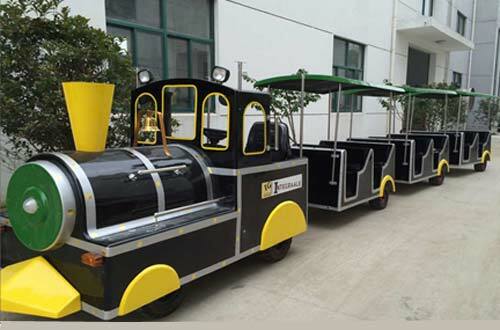 Here, hop aboard and go for the ride of your life with the great Trackless Trains. 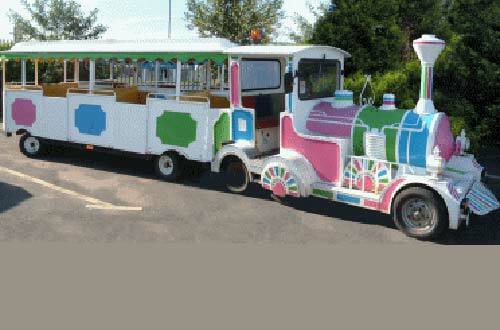 What beautiful the trackless train it is for you all! And you can call the trackless train some other names, such as tram (U.S. English), road train, land train, parking lot tram, fiberglass train or Choo-Choo train. 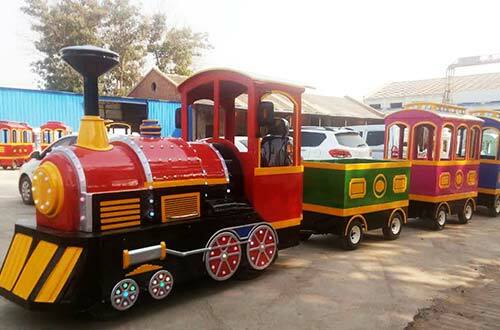 The land trains are available for almost all children and adults of all ages. 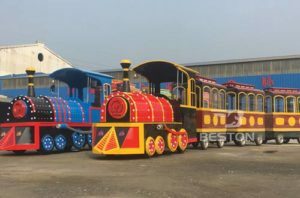 Therefore, these attractions can be recommended for almost all riders from simple ride-ons for toddlers to die-cast replicas of real locomotives for the older ones.